Your e-mail cart is empty. 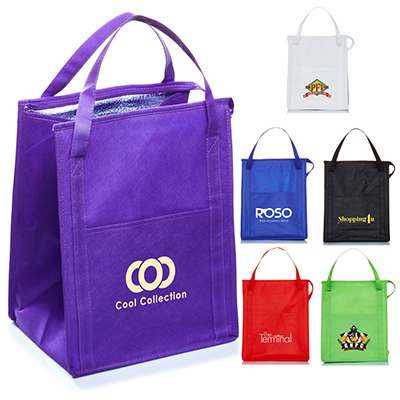 The ultimate grocery tote is a massive 90 GSM non-woven tote bag complete with a lead free aluminium insulation. Perfect for keeping food hot or cold to and from the store. Bags feature an insert panel and zipper closure making them the perfect reusable grocery tote. White, Blue, Red, Purple, Lime Green, Black.